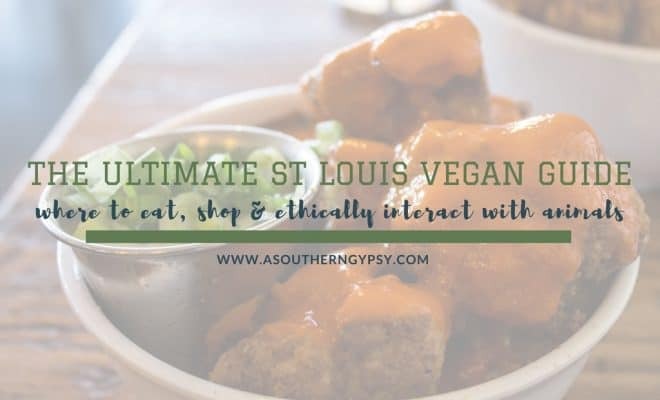 Are you visiting or living in the Gateway City and looking for the best St Louis restaurants to eat as a vegan? 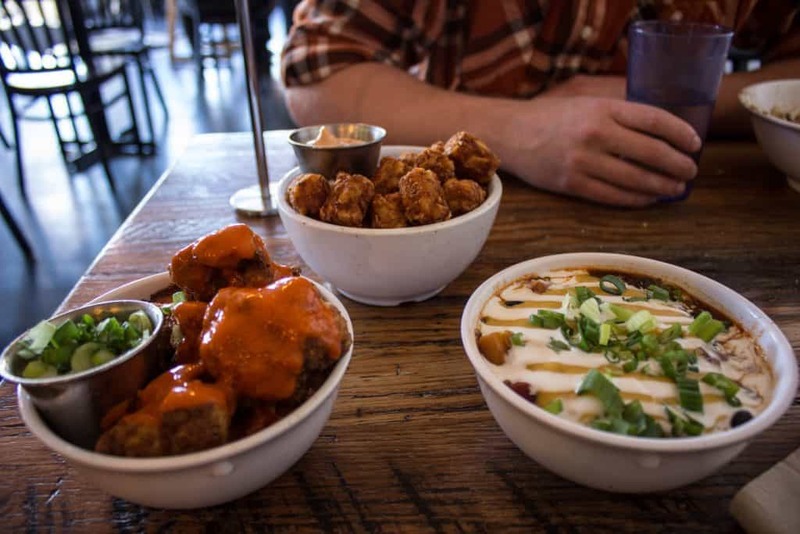 Believe it or not, the places to eat in St Louis as a vegan are both numerous and delicious. My brother has been living in St Louis for the past three years for grad school and I’ve enjoyed visiting him several times. In fact, I’ve really fallen in love with St Louis. 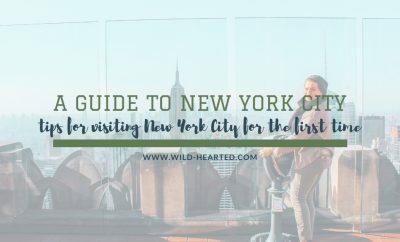 It’s very affordable to visit (many free attractions), the vegan options are large and growing and there are so many fun, hidden spots if you know where to look! There are several all vegan restaurants in St Louis and one of my favorite restaurants ever, anywhere. LuLu’s Local Eatery is one of the many restaurants on Grand Avenue that are vegan or vegan-friendly. Their menu rotates seasonally but is always delicious and unique. I’ve been here a few times now and it’s the place I most look forward to visiting every time I’m in St Louis. 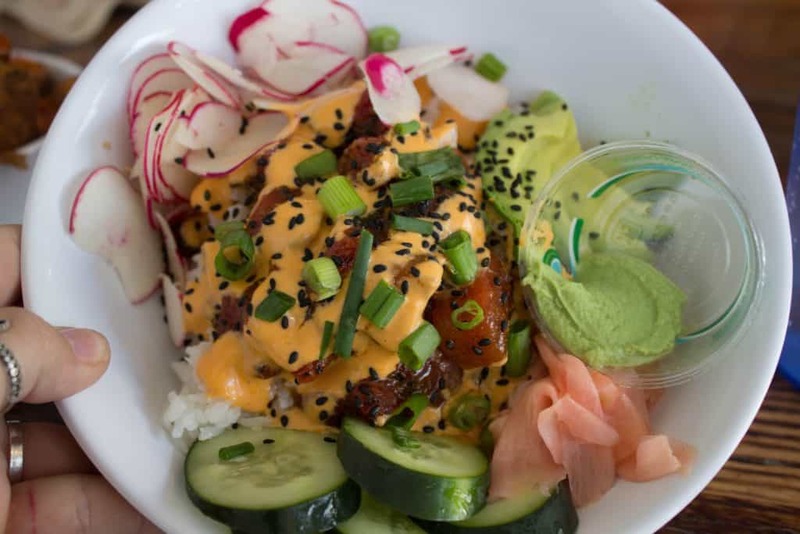 Their sushi bowl is one of the best things I’ve ever tasted. I was a huge sushi lover before going vegan and this is the only thing that has cured that craving! 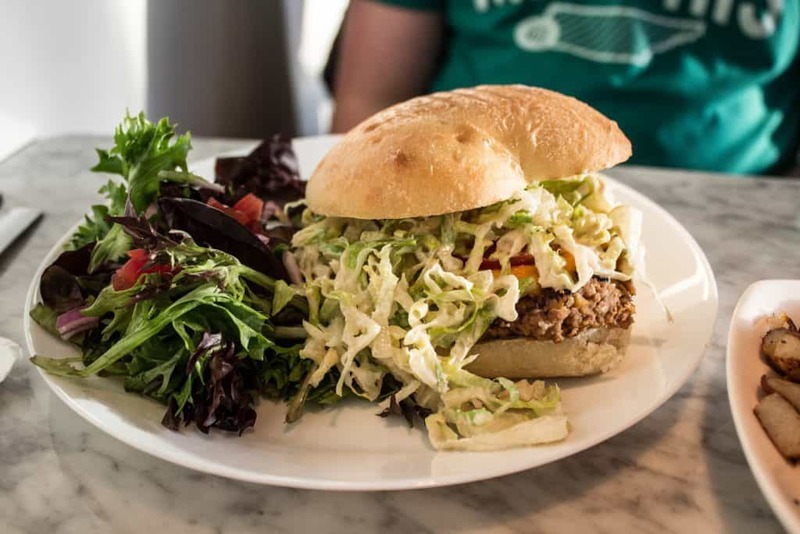 Not only is Lulu’s vegan but they make amazing strides in terms of sustainability. 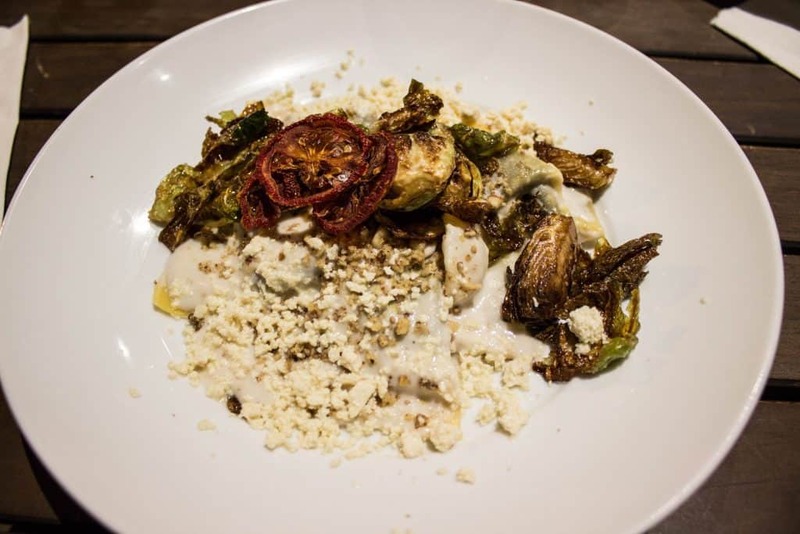 They practice sustainability by recycling and composting 95% of their waste, offering 15% off to customers who bike to the restaurant, growing their own herbs, using 100% compostable to-go materials and being five star certified in sustainability by Green Dining Alliance. 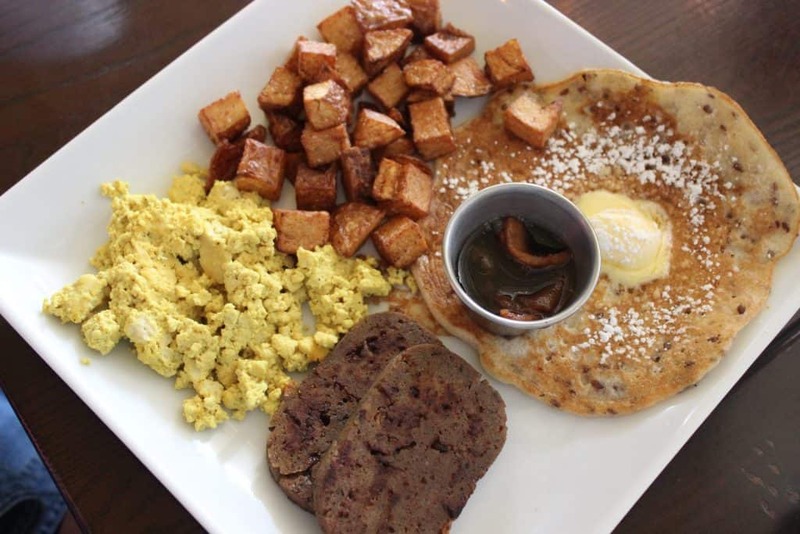 Another one of the all vegan restaurants in St Louis is Seedz Cafe. It doesn’t get as much hype as LuLu’s but it should! 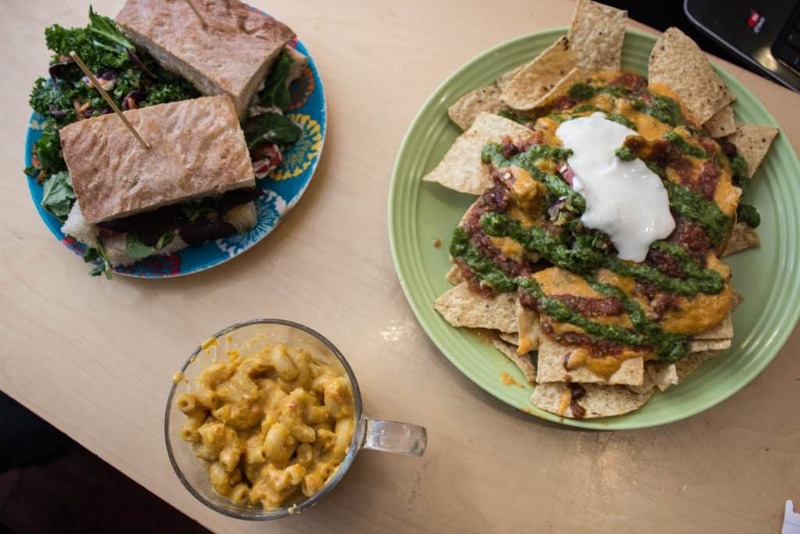 Seedz has an amazing menu full of cold-pressed juices and plant-based entrees. The burgers were delicious and their macaroni and cheese was definitely some of the best I’ve had. 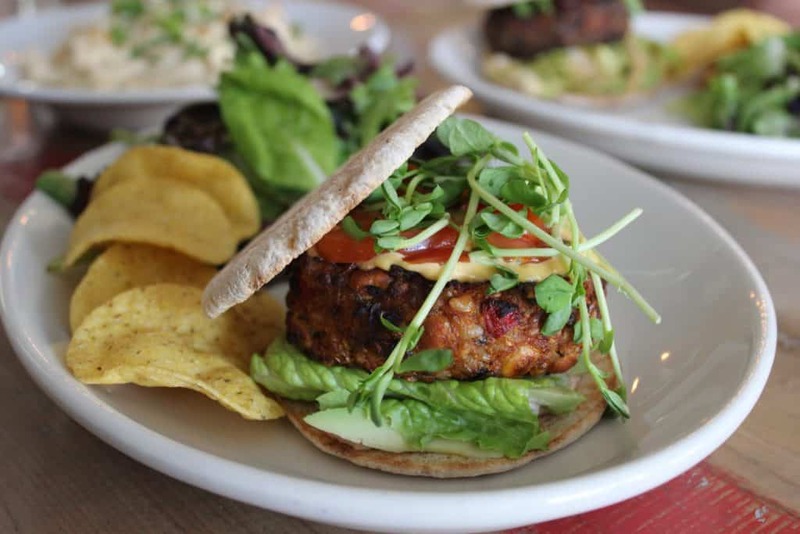 I haven’t been to PuraVegan yet but it’s on the top of the list for my next visit! It’s the last of the all vegan spots in St Louis and I’ve heard great things! Their menu rotates raw and cooked food with low, or no, salt and oil. They definitely focus on the healthier foods and offer meditation and yoga classes! Finally made it my last trip and I loved it! It’s definitely on the healthier side of things which I need. The cafe and shop are incredibly adorable too! 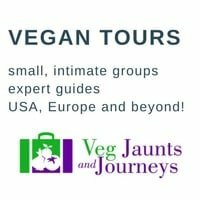 There are even more vegetarian restaurants in St Louis and all are extremely vegan-friendly as most vegetarian places are happy to be! 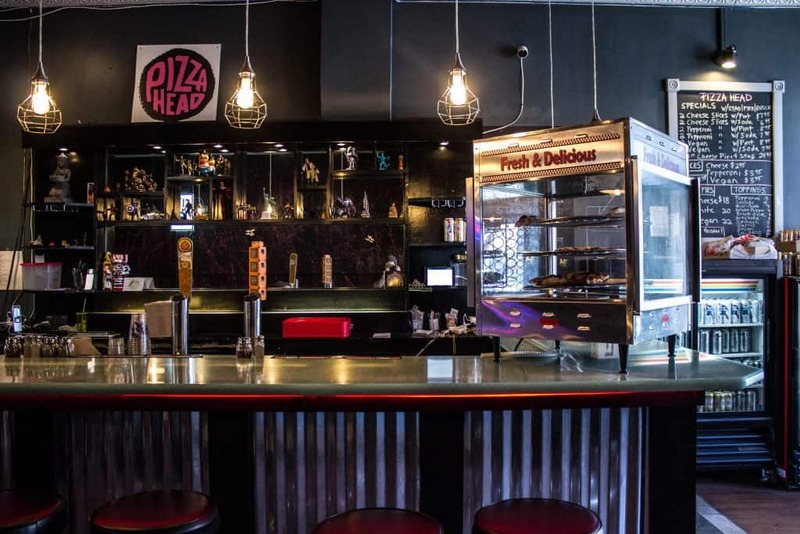 St Louis not only has several vegan pizza options but they have an all-vegetarian pizza place – Pizza Head. They also are unique in that they serve NY style pizza by the slice, cheap beer in a can and consistently play punk music. The atmosphere and vibe is so different and will have you coming back for more and more. Oh, yea, and their pizza is really damn good. Small Batch is my new favorite place in St Louis and it is a verrrry good thing I don’t live nearby because I would be so broke from eating here all the time. 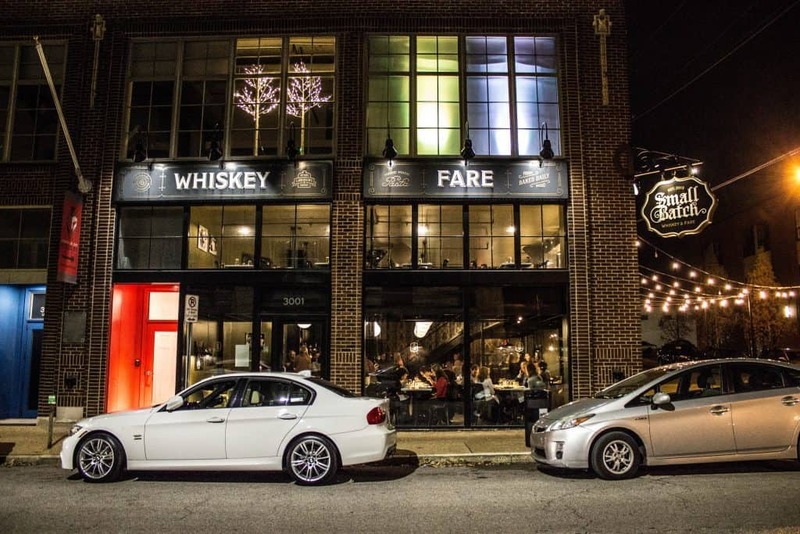 Small Batch is a whiskey lounge and restaurant focused on whiskeys, bourbons, and ryes. 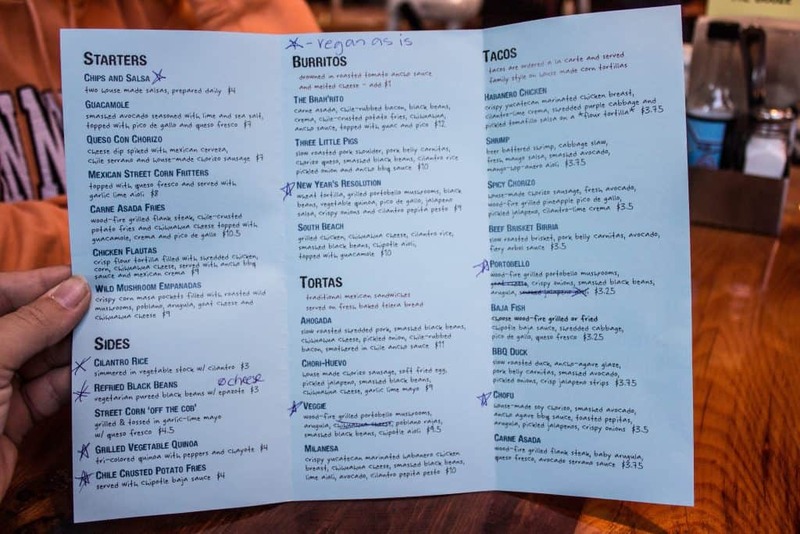 Their menu is entirely vegetarian and is incredibly unique and diverse. They can make most, if not all, of their items vegan and are very willing to do so! 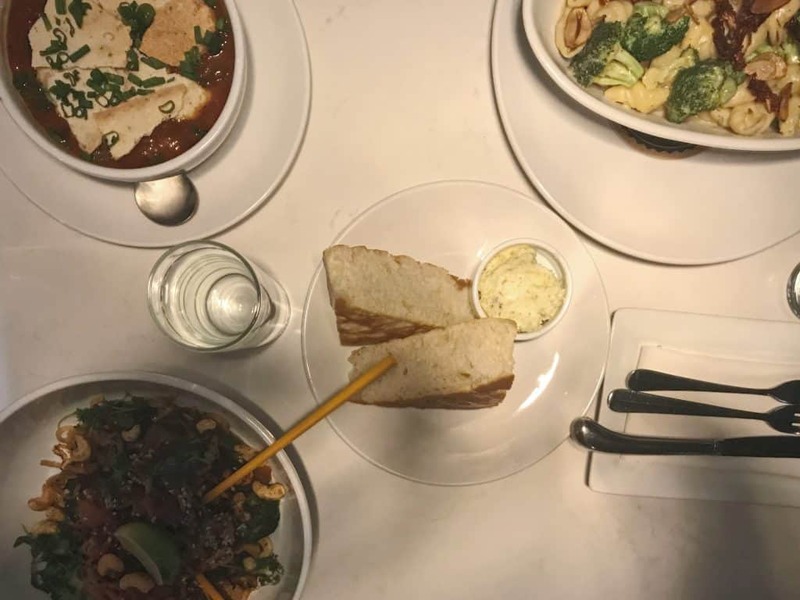 We got the chili, alfredo, and pad thai and we all kept each other’s food because we couldn’t decide what we liked best! All of my pictures turned out horrible due to their lighting but I assure you even the pics wouldn’t have done the food justice. 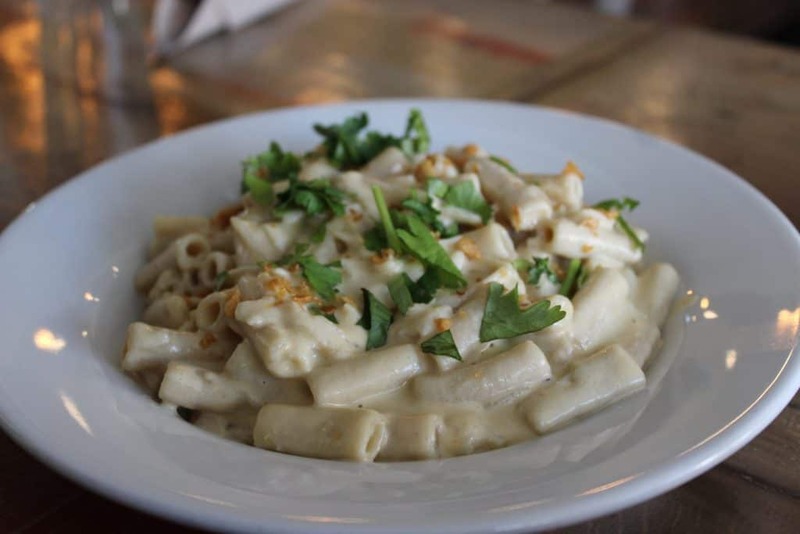 TreeHouse is a lovely all vegetarian restaurant which is right next door to LuLu’s! I went for the brunch and it went above and beyond my expectations. 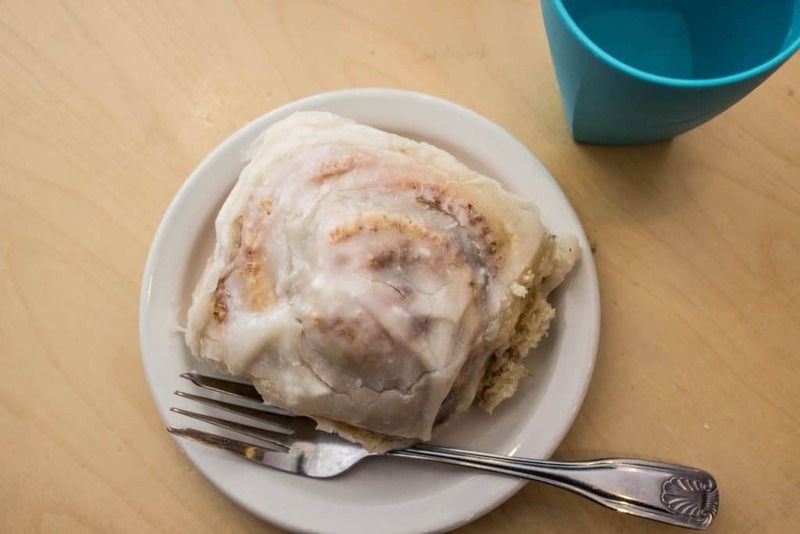 I also had a cinnamon roll which happened to be one of the best of my life and I really like cinnamon rolls. 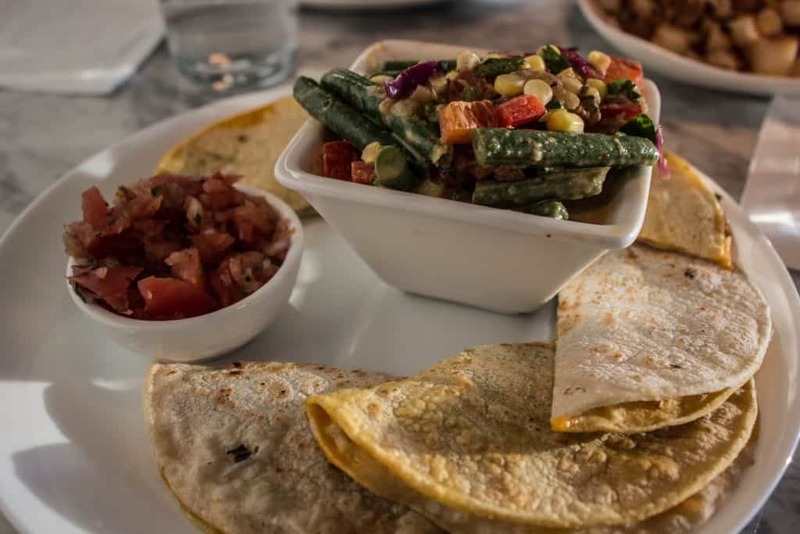 Frida’s is all-vegetarian and they do not fry anything, use microwaves, butter or sugar. Additionally, they use little or no oil in their cooking. 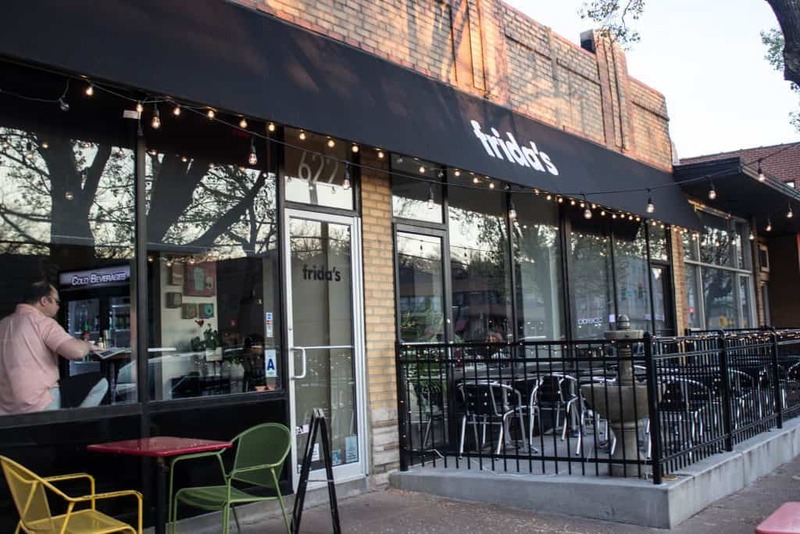 Frida’s has a beautiful atmosphere and delicious food. 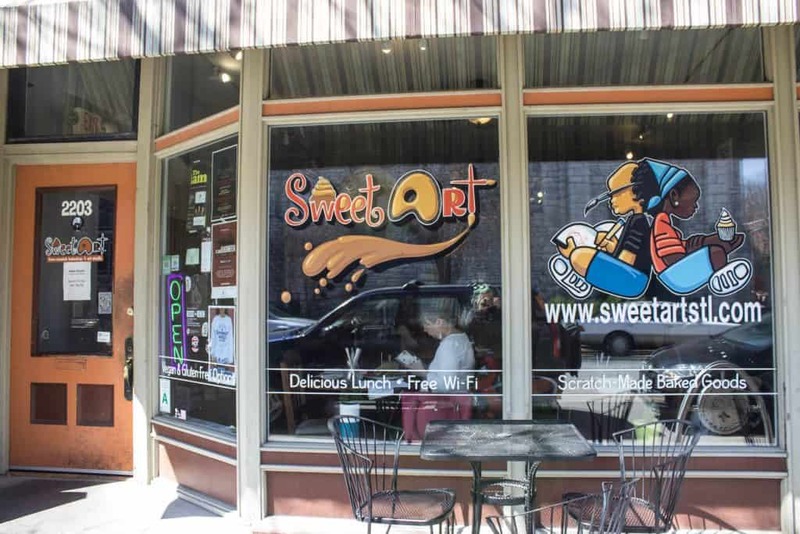 SweetArt is a cafe, bakery, and art studio all rolled into one! 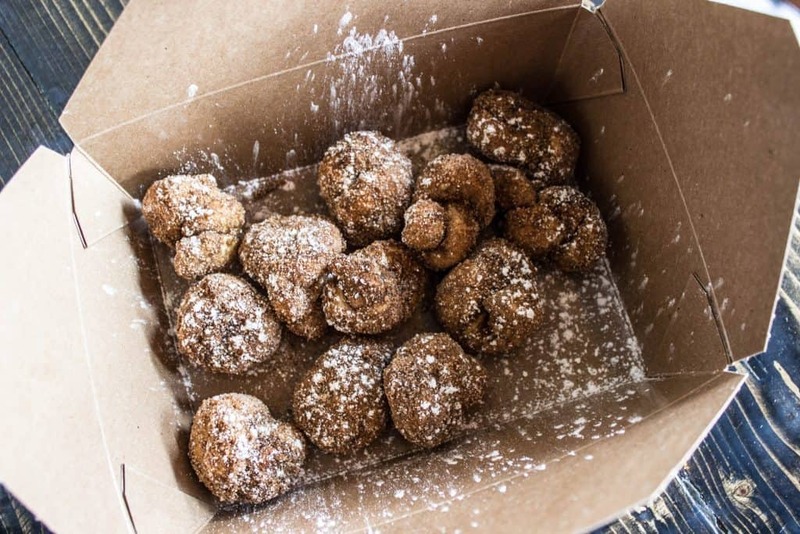 They make amazing desserts and food but also are on a mission to change lives. They recycle, do not use styrofoam and are committed to helping the planet. 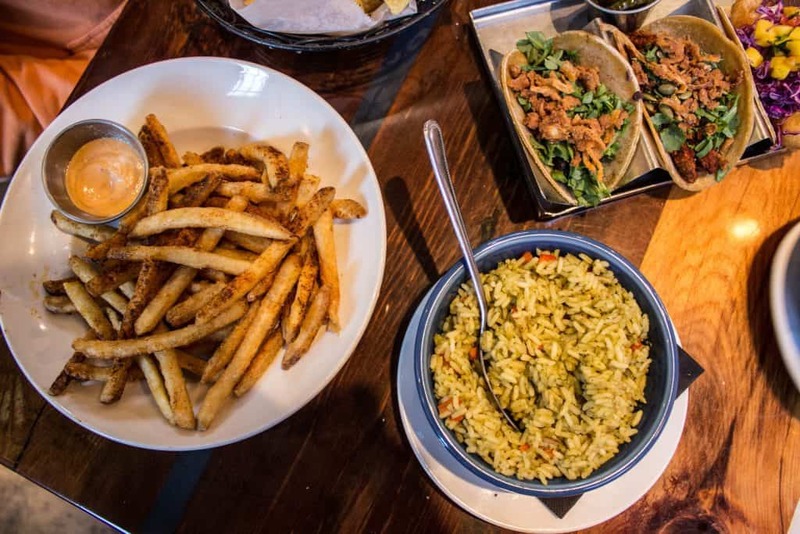 Gokul is an all-vegan Indian restaurant. While I haven’t been, I’ve heard it’s amazing! 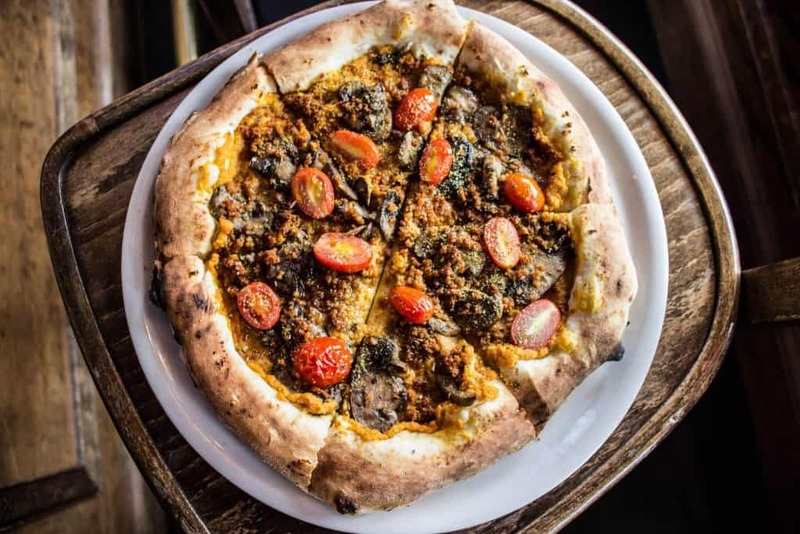 Pizzeoli is a vegan-friendly pizza place with FOUR vegan pizzas on the menu which includes a vegan pepperoni and vegan sausage with, of course, vegan cheese. 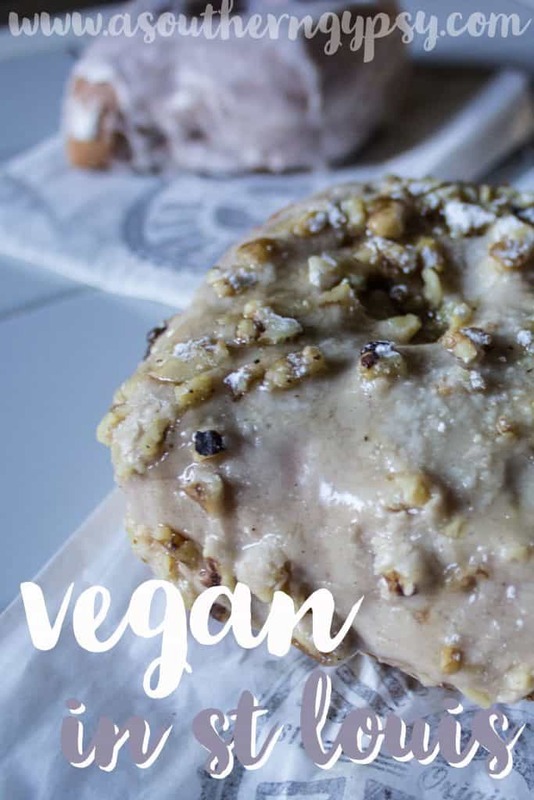 They also have a vegan dessert – maple-glazed cinnamon knots! Finally tried this place and it was absolutely amazing! The owner was so incredibly nice and was great talking to him while we waited. I was so excited to find this donut place randomly on my last trip! 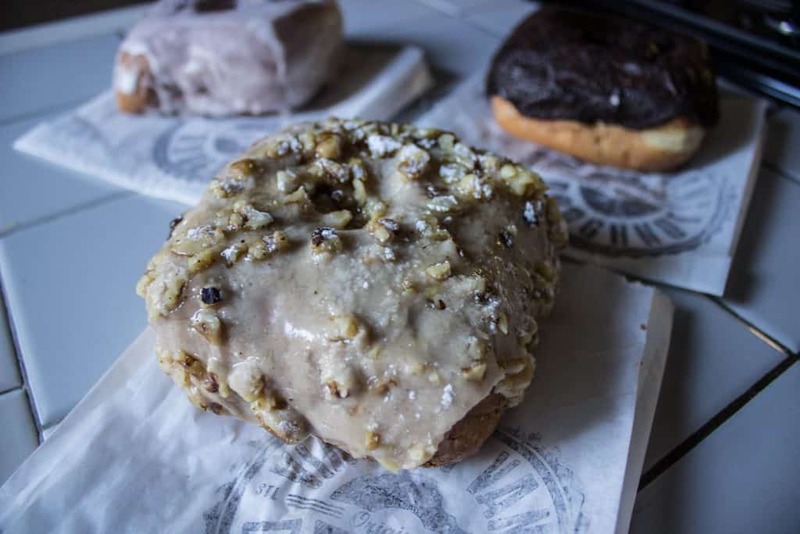 They have vegan donuts on the weekends at times. I think they’re just testing them out right now but they are beautiful, huge and affordable! 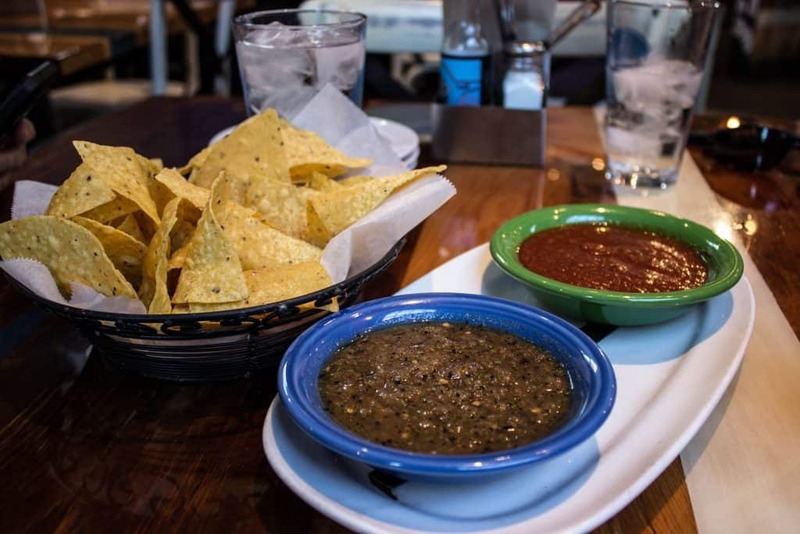 Mission Taco Joint has several locations and is a great option especially when eating with non-vegans. 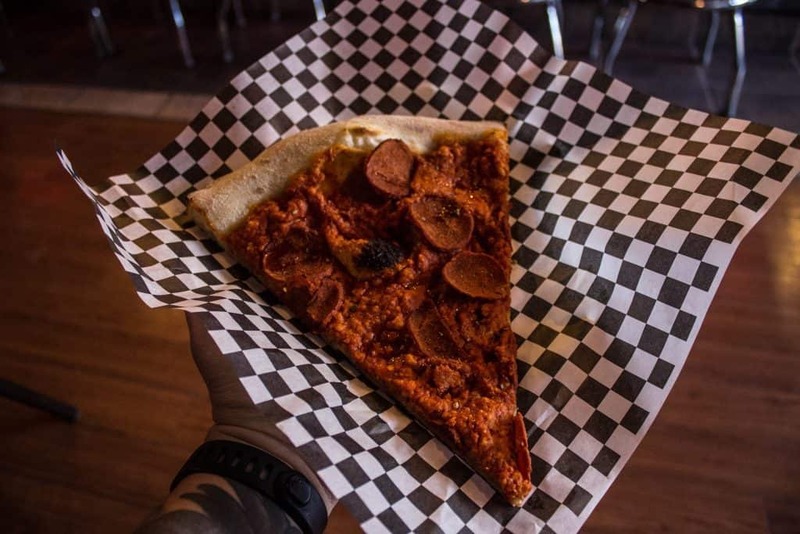 Hugo’s Pizzeria is yet another option for pizza and they make their own vegan pepperoni! They also have vegan cheese of course! Owned by the same people who own Small Batch and Hugo’s Pizzeria is Rooster. 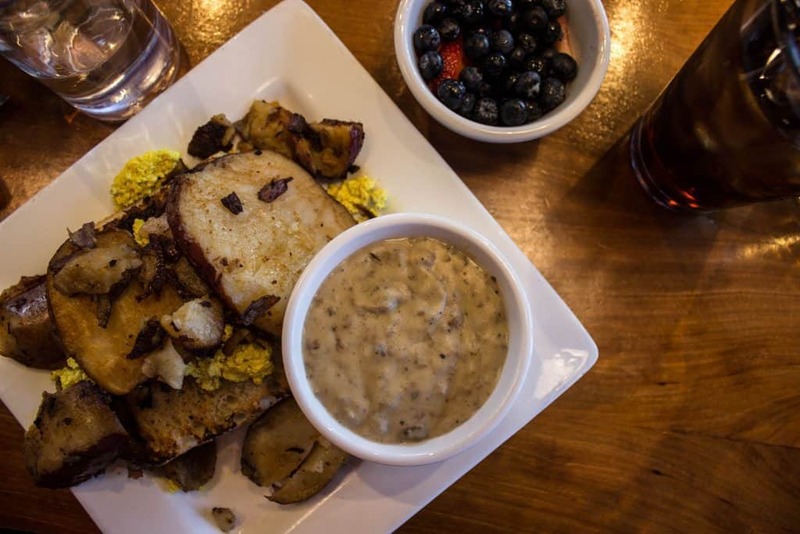 Rooster has a local favorite item for breakfast or brunch – a vegan slinger which includes vegan sausage, seasoned tofu, breakfast potatoes and gravy over focaccia bread. Another place I haven’t had a chance to try yet. 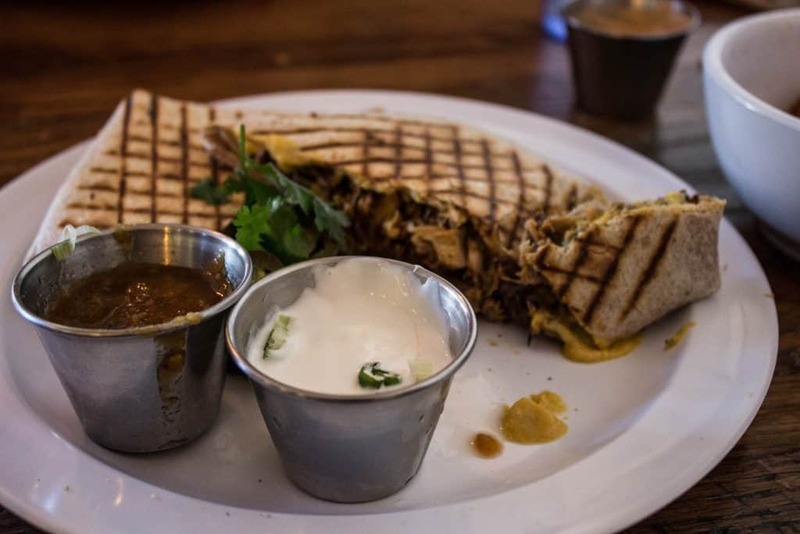 Confluence Kombucha serves unique cuisine based on traditional preservation techniques as well as craft-brewed kombucha on tap. 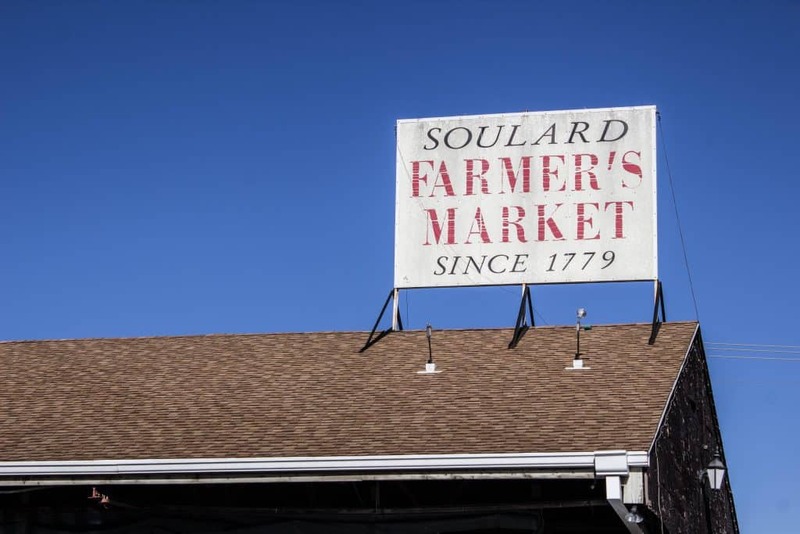 Soulard Market is a great place to go shopping for local produce and you may even be able to find a few other necessities here like spices or herbs. 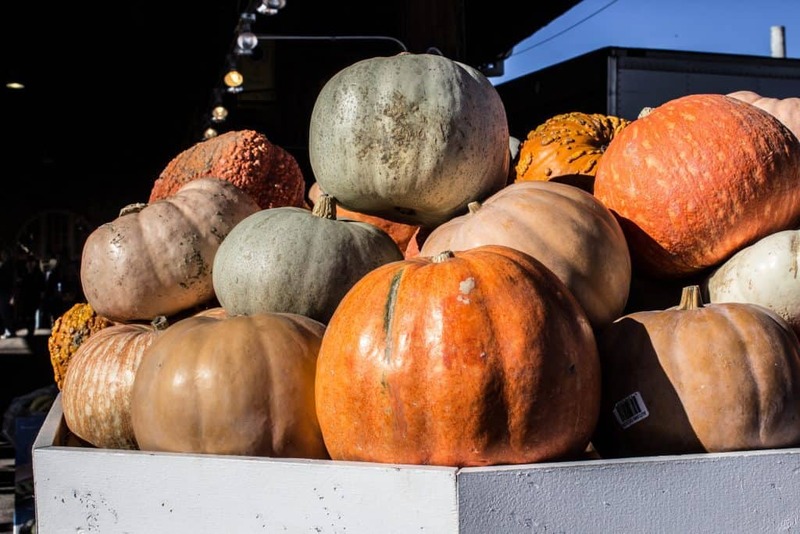 While they are open Wed-Sat, the best time to shop is on Saturdays as that’s when the most stalls are open and, as usual, there are more open in the warmer months. Local Harvest Grocery isn’t a vegan store but it is very vegan-friendly. I found several vegan options that I hadn’t seen anywhere else. Additionally, they are focused on sustainability and try to selll as many local items as possible. The Golden Grocer is another local, natural health food store located in St Louis. They focus on natural products that promote natural ingredients, cruelty-free products, and eco-friendly choices. 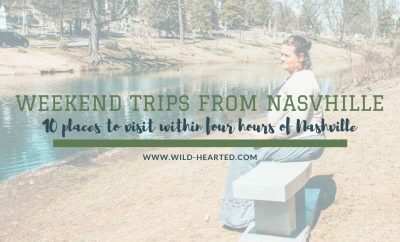 Not only is St Louis great for vegan food and shopping, there also several ethical animal encounters you can have in and near the city! While you may feel the urge to go to the St Louis Zoo, especially since it’s free, please refrain. Here is a great article focused on why vegans do not support zoos. Top tip // Pre-purchase tickets to all of the below via their websites. I’m a huge advocate for Gentle Barn. They have three locations (California, Missouri, Tennessee) and I’ve been to two of them and volunteer occasionally at the one in Tennessee. 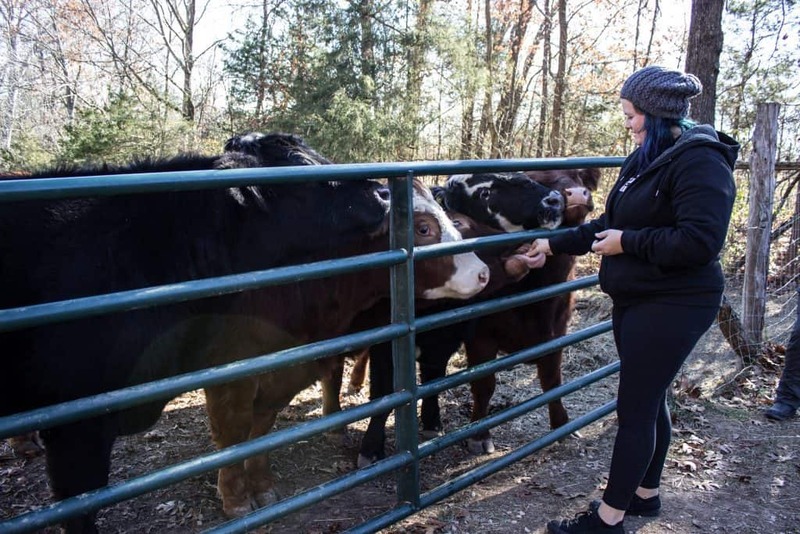 Read about Gentle Barn Missouri in more detail. 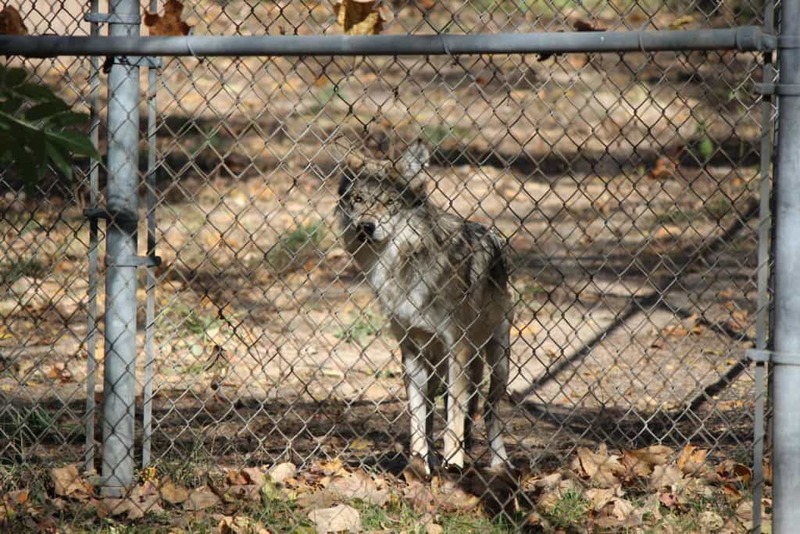 The endangered wolf sanctuary is also located just outside of the city. The Endangered Wolf Center is a non-profit wildlife facility that is dedicated to preserving and reintroducing to the wild critically endangered species of wolves. You can visit to learn about the sanctuary and wolves in general. Read about the Endangered Wolf Sanctuary in more detail. I love visiting cat cafes! I visited my first one in Indianapolis and now I’m hooked! Now, I actively seek them out when I travel and found Mauhaus Cat Cafe in St Louis. 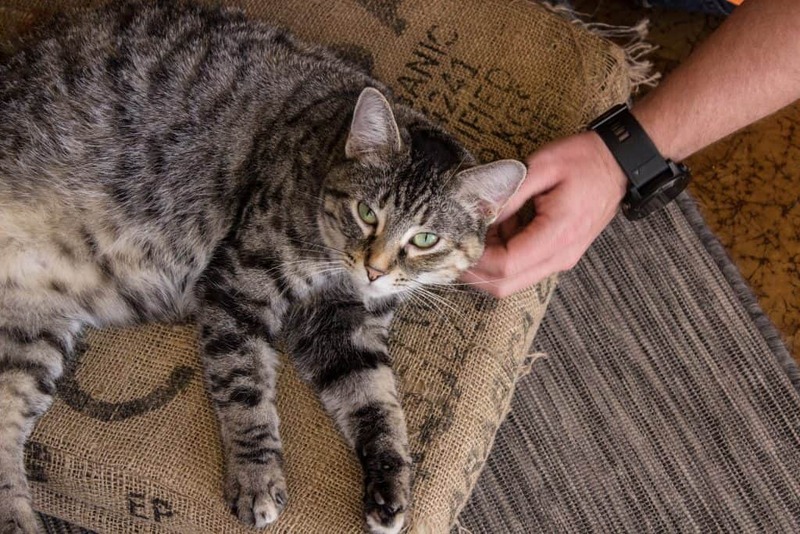 Read about Mauhaus Cat Cafe in more detail. Interested in taking part in animal activism while you’re in St Louis? Here are a few great options! My favorite way to get vegan options in a new place is by joining the local Facebook group. The locals will you give the best advice of where to eat, what not to miss and the hidden gems of their city! 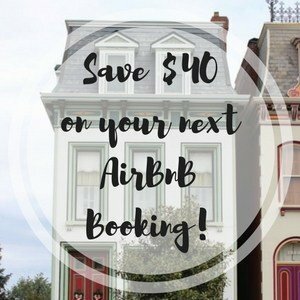 Looking for hotels in St Louis? Check out reviews here and book here. Looking for a guidebook on St Louis? Here ya go! What else have I written?You can find more vegan posts here and St Louis posts here. This is amazing! 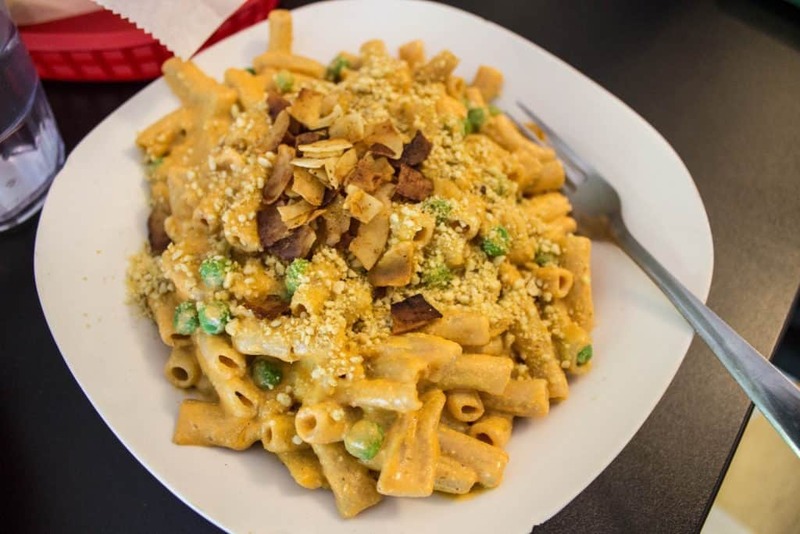 It wasn’t until I went vegan that I realized my very own hometown had so many awesome vegan spots! Thanks so much for creating this! I am blown away by how much St Louis content you have written in a short time. Hats off to you girl. You’re amazing. St Louis sounds like a really cool trip. Maybe, like the song says, we should meet you in St Louis. 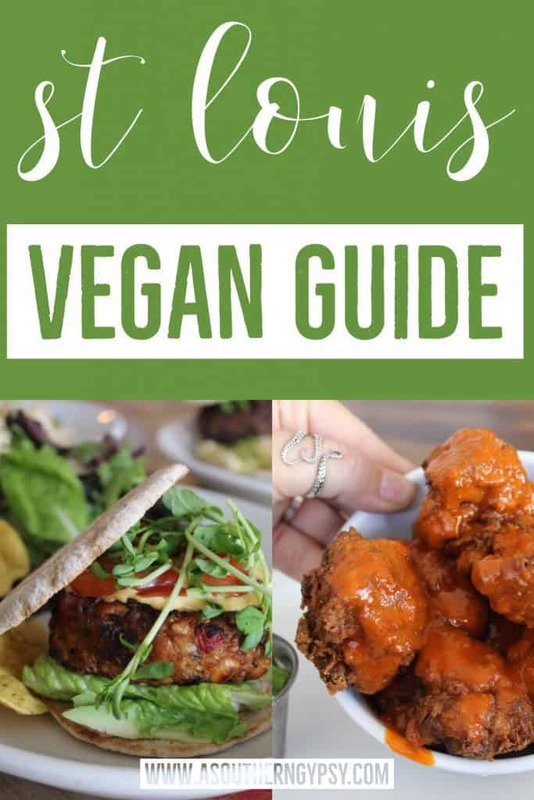 You always find the best vegan places to eat! Those food are so tasty looking. And I love the Cat Cafes too, who doesn’t love the cute furball? I haven’t been to St. Louis since 1987. I can only imagine how much it has changed from my quick weekend through back then. It looks like quite the place for foodies! This is not the post to read when you are hungry. haha! But I’ve definitely found a few places here I can’t wait to visit. Pizza Head looks so fun and delicious. Seems like the perfect place to go out for a lively evening out. 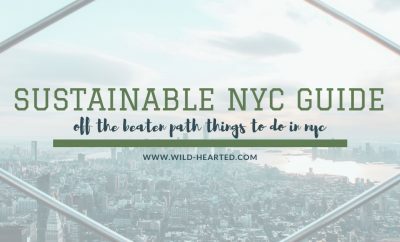 This is such a thorough guide! There’s a whole lot of deliciousness on this list. I’ve always wanted to visit a cat cafe! For some reason I thought they were more of an international thing. I definitely think they used to be but they seem to be happening more in the US! Thank you for mentioning us in your list! Hope we see you next time you roll through St. Louis! Among all these places, I have been to Mission taco joint only. But, I love the experience as its spiral menu covers offer really yummy dishes.